Do you want an exciting career with A&P Marine? We are a small & growing business based in Marina De Denia, 100km South of Valencia. Our focus is on boats between 30ft & 120ft . We provide a one stop service for our customers, from regular cleaning & provisioning through to the most complex engineering challenges. We are also the official service dealer & product support agents for Williams Jet Tenders on the Costa Blanca. Our highly skilled multilingual team is eight strong. We are always looking for experienced marine mechanics who have experience with Volvo Penta engines to bolster our capabilities as we prepare for future growth. Salaries are competitive & paid monthly, uniforms provided & we also have company vehicles available. This business is highly seasonal with holidays taken between September & January. We offer continual professional development to our team members. 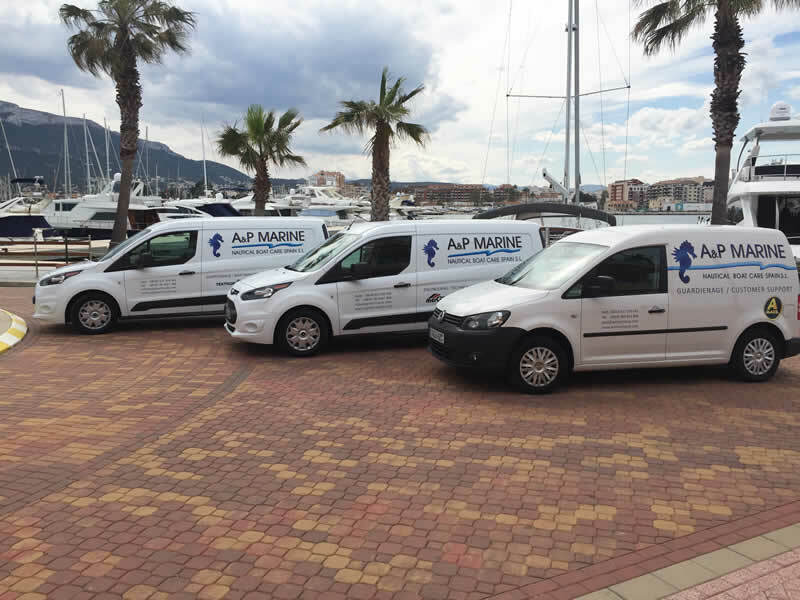 A&P Marine, are based in Denia on the North Costa Blanca and cover the Marinas at Denia, Moraira, Calpe and Altea. I consent to receive written, digital or voice communications (including email) about your products and services.